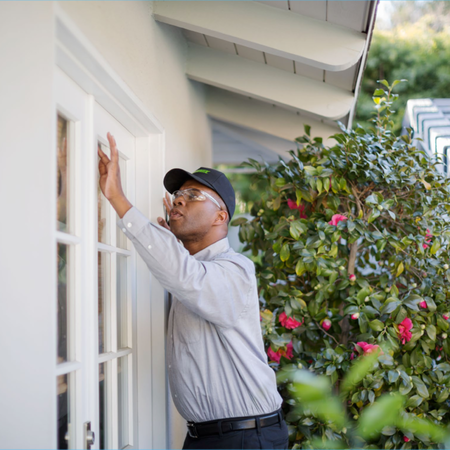 The Terminix Ventura Branch is staffed by service professionals who know local pest problems inside and out. We live in the area and work from our location right off of the 101 Freeway, opposite the county buildings. We understand the threat of termites, rodents, ants, bed bugs, spiders and more in the Ventura area. And we’re backed by our nationwide network of expertise. The Terminix Ventura Branch serves the cities that make up Ventura County, including Thousand Oaks, Ventura and Simi Valley. We protect homes and businesses, offering residential and commercial services to customers seeking effective termite and pest control. Best of all, we offer guaranteed solutions, including a money-back guarantee for pest control1 and the strongest residential termite guarantee in the business for qualifying properties. Nationally, termites do billions of dollars in damage each year. That’s why so many homeowners and businesses in Ventura rely on Terminix, the first pest control company to ever obtain a termite patent. 1If within 30 days after an inspection or treatment you aren’t totally satisfied, we will refund the treatment or coverage charges, reimburse any prepaid services and cancel your plan. 2ULTIMATE PROTECTION GUARANTEE (UPG) IS AVAILABLE FOR QUALIFYING PROPERTIES ONLY. Limitations apply. See your termite plan or call 1.800.837.6464 for details. 3Limitations apply. See your Terminix Exclusion Plan for details. 4Savings vary and depend on home’s current insulation, home and system efficiency, and products purchased.